really liked him in Hana Kimi. for me, he was the hottest guy in that drama. his character was eccentric and interesting. even though he only had a supporting role, i really enjoyed the drama because he was in it. Kyaaa, he's sooo adorable!! >w< Saw him for the first time in Hana Kimi, I loved his character but I love his character in Atashinchi no Danshi even more!! I absolutely love this man. He's hilarious and really does the characters justice. I can't wait to watch more of his stuff in the future. he is sooo cool ~!! He's the cutest ever! I really hope he gets a leading role in a drama soon. he was great as a ghost man in hana kimi!!! why isn't there any forum topic of him??? i keep on laughing when he is in the hana kimi . he is the best ghost hunter ! haha . 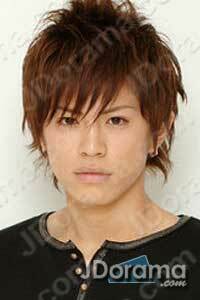 I like his role in Hanazakari Kimitachie..He also very funny in Kamen Rider Kabuto..